TNC Predator won the Dota 2 World Electronic Sports Games 2018 on Sunday, taking home its second WESG trophy and $500,000 dollars for the effort. TNC Predator tore through the event without breaking a sweat. The Dota 2 team lost only two games in the group stage before cleaning up the bracket, with 2-0 wins over Team Canaringo, White-Off, and runner-up Keen Gaming. The Philippines is your #WESG2018 Dota 2 World Champions! 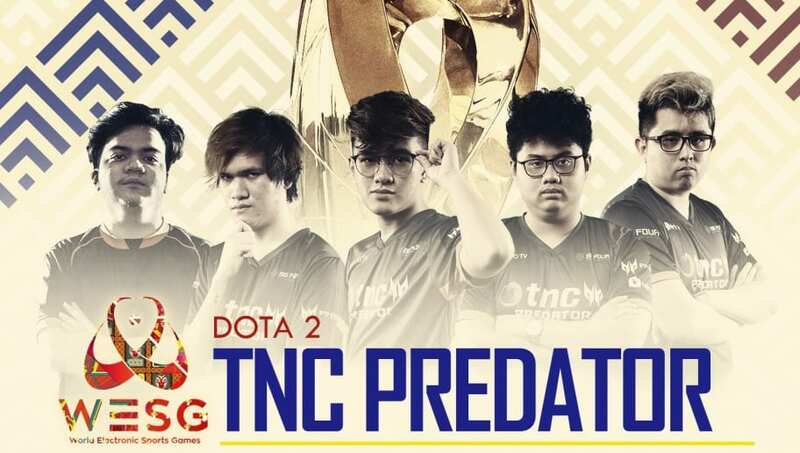 TNC Predator competed without captain Carlo "Kuku" Palad, who took a personal leave from the team in December following the controversy around racist comments he made via in-game chat. WESG went on to ban Kuku from the event, forcing TNC Predator to field Marc Polo Luis "Raven" Fausto in his place. Whether or not Kuku will be allowed to attend subsequent iterations of the WESG remains unknown. TNC Predator previously took home the victory at the 2016 WESG. It did not attend WESG 2017, leaving Russia to claim the title that year.